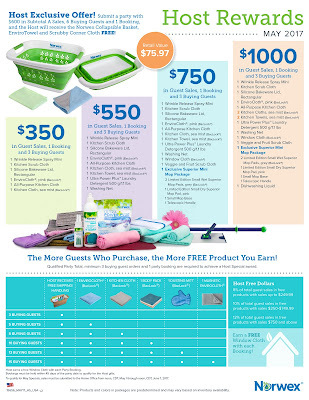 Join My Team in May, Earn a BONUS! 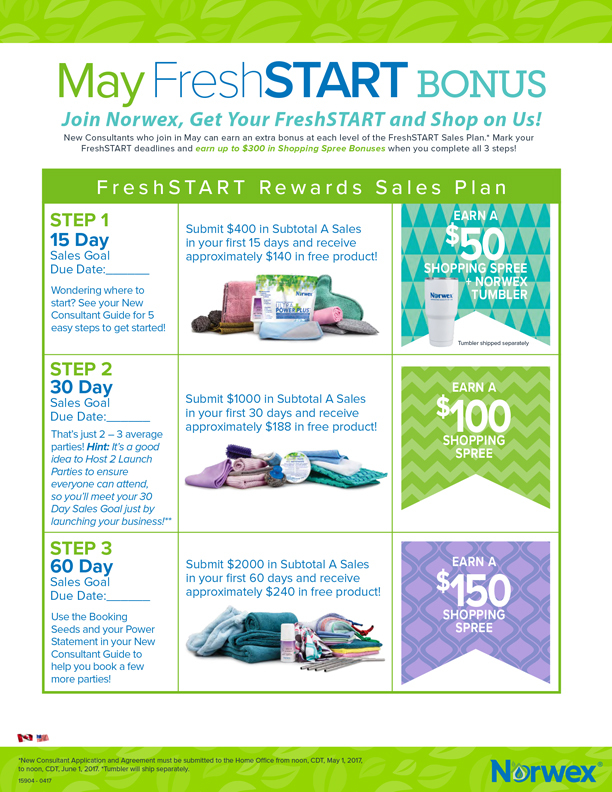 Join Norwex, Get Your FreshSTART and Shop on Us! New Consultants who join in May can earn an extra bonus at each level of the FreshSTART Sales Plan. * Mark your FreshSTART deadlines and earn up to $300 in Shopping Spree Bonuses when you complete all 3 steps! Start today for MORE REWARDS in May! 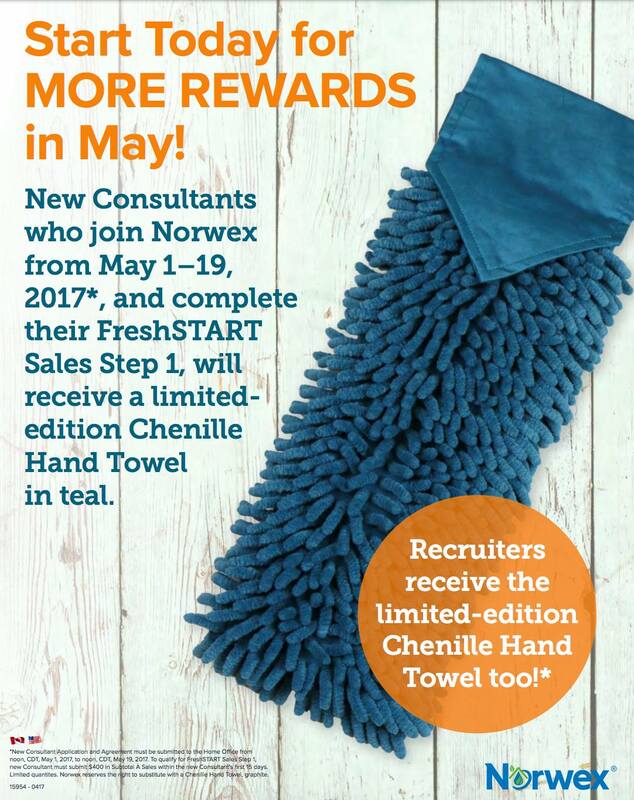 New consultants who join Norwex from May 1-19, 2017* and complete their FreshSTART Sales Step 1, will receive a limited-edition Chenille Hand Towel in teal. *New Consultant Application and Agreement must be submitted to the Home Office from noon, CDT, May 1, 2017, to noon, CDT, May 19, 2017. To qualify for FreshSTART Sales Step 1, new Consultant must submit $400 in Subtotal A Sales within the new Consultant’s first 15 days. Limited quantites. Norwex reserves the right to substitute with a Chenille Hand Towel, graphite. 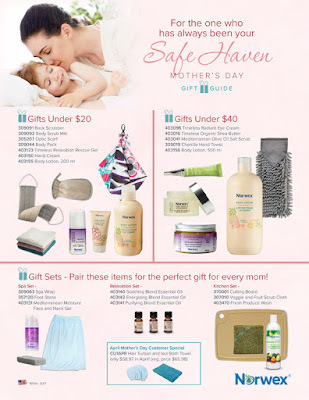 Gift Sets - Pair these items for the perfect gift for every mom! 1 Shower Gel 200ml/6.76 . oz. Orders must be received in the Home Office from noon, CDT, May 1 through noon, CDT, June 1, 2017. Note: Products and colors in packages are predetermined and may vary based on inventory availability. 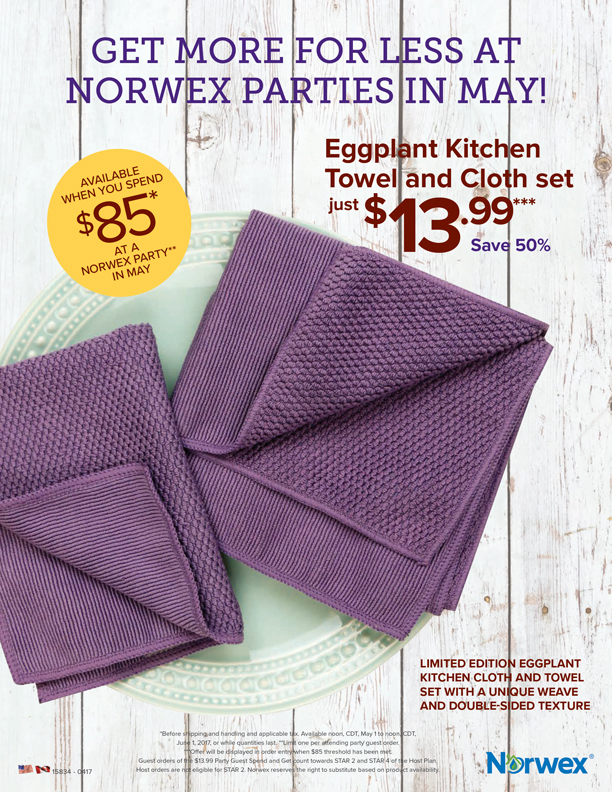 GET MORE FOR LESS AT NORWEX PARTIES IN MAY! *Before shipping and handling and applicable tax. Available noon, CDT, May 1 to noon, CDT, June 1, 2017, or while quantities last. **Limit one per attending party guest order. ***Offer will be displayed in order entry when $85 threshold has been met. Guest orders of the $13.99 Party Guest Spend and Get count towards STAR 2 and STAR 4 of the Host Plan. Host orders are not eligible for STAR 2. Norwex reserves the right to substitute based on product availability. 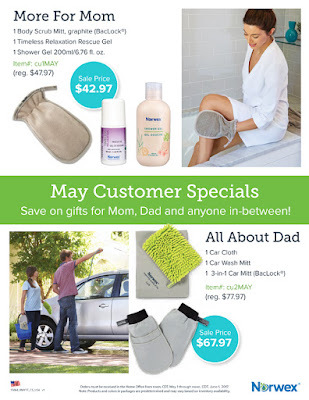 Host Exclusive Offer! 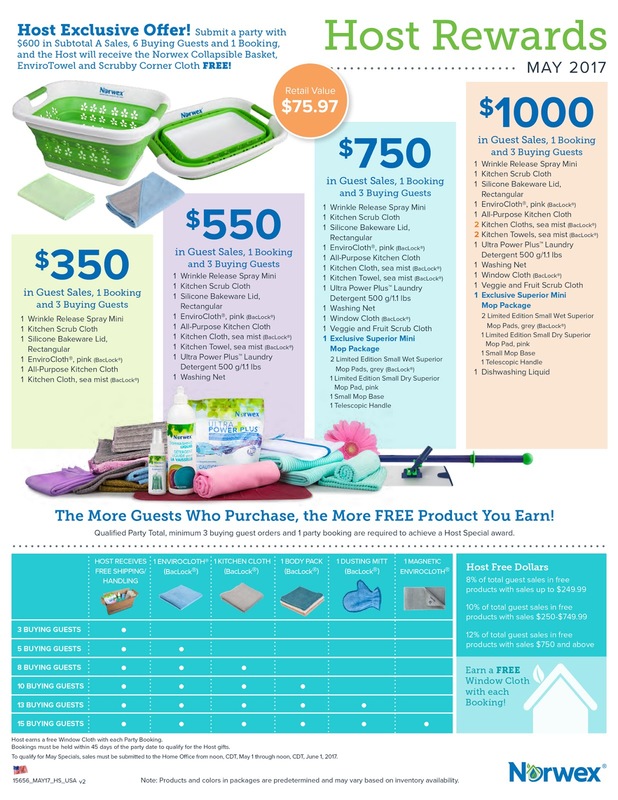 Submit a party with $600 in Subtotal A Sales, 6 Buying Guests and 1 Booking, and the Host will receive the Norwex Collapsible Basket, EnviroTowel and Scrubby Corner Cloth FREE! Retail Value $75.97! All parties must be submitted to the Home Office from noon, CST, May 1 through noon, CST, June 1, 2017.